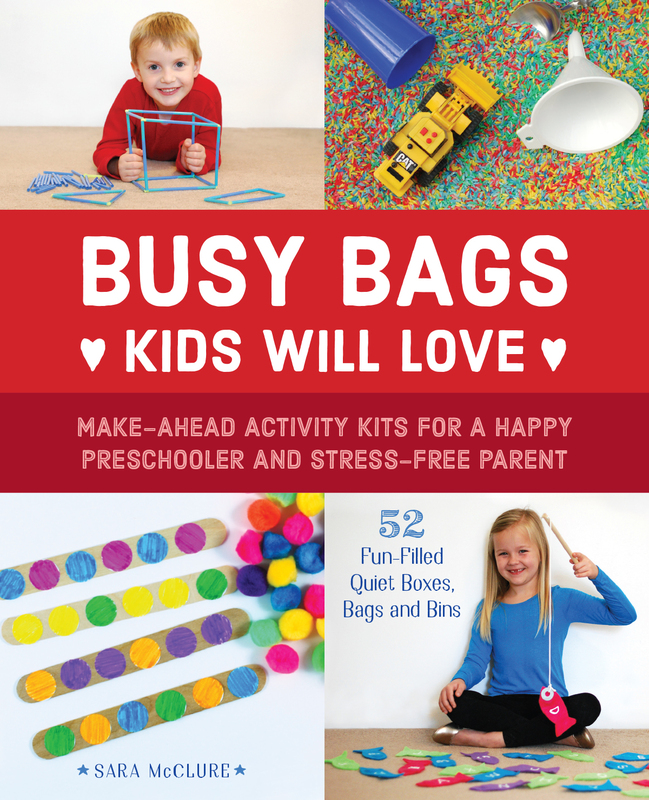 Discover how you can engage your preschooler in meaningful activities with these fun, simple busy bag ideas in my new book, Busy Bags Kids Will Love: Make-Ahead Activity Kits for a Happy Preschooler and a Stress-Free Parent. 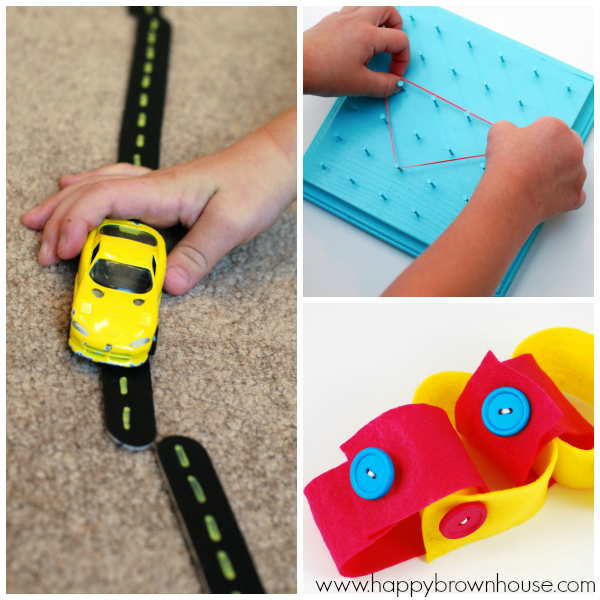 Using everyday items from around your home you’d be surprised how easy it is to help your child learn to read, count, build fine motor skills, and have fun with purposeful activities created just for them to explore and play. Busy Bags Kids Will Love is an engaging variety of mentally stimulating activities that keep preschool children away from the TV. As the parent of young children, it’s hard to find a moment for yourself. Busy Bags Kids Will Love offers you a smart way to keep your kids engaged so you can relax. 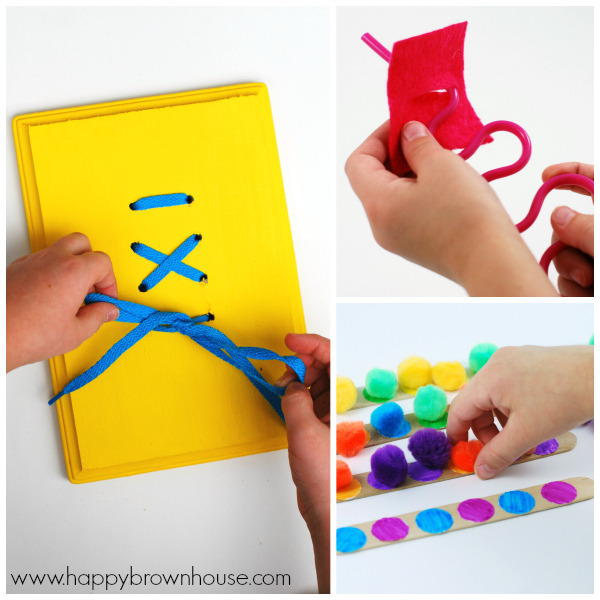 With step-by-step instructions and color photos on each page, it will teach you how to make fun, unique games with simple arts-and-crafts materials you have at home. It’s now available to BUY ONLINE or available at major bookstores! What’s Busy Bags Kids Will Love About? This book is packed with easy-to-make activities to make skills of math, literacy, fine motor skills, and fun…well, fun! It is 128 pages with 52 busy bag ideas (one for every week of the year) AND each section of the book (math, literacy, fine motor skills, and just for fun) has an explanation of early childhood development in each of these areas. Plus, there’s an explanation of busy bags and their uses, information about how to host a busy bag swap, and a list of 100 Things Your Child Should Know Before Kindergarten. Each educational activity uses materials found in most households and craft closets. To make the activities in the book without breaking the bank, many of the items can be found in your recycle bin or closest dollar store. You’ll find a range of how involved making the busy bags will actually be–some require very little prep while others will take a little time to put together. Either way, they are easy enough that everyone can make them. Inside, you will learn how to make simple learning games for children ages 2-6. My activities are simple and easy to make. I want to help YOU make meaningful moments with your children. Why Own Busy Bags Kids Will Love? The Happy Brown House Blog loves to share meaningful and creative activities–including busy bags. I believe learning should be fun and engaging for little learners. When I first started Happy Brown House, I was only writing about our family. I quickly started posting about the fun things I was doing at home with my children. My friends kept asking for me to share more and I found I LOVED sharing ideas. I have shared activities for babies, toddlers, preschoolers, and grade school children on the blog. With many thanks to you, my blog has grown to be a community and I continue to be asked for new ways to make learning fun and exciting. I wanted to make my ideas available to YOU at any time of the day. Busy Bags Kids Will Love is something I’m very proud of and I hope it makes it to your bookshelves. Can’t you see yourself sipping on your morning coffee while the little ones are engaged in their very own busy bag to give you a chance to just breathe for a moment before you start your day? Or, can you imagine going to the doctor’s office and having something educational to keep your kids busy while they wait? Buy a copy for you and maybe one for a friend or grandparent. I know I love getting new books to inspire me to learn and connect with my kids. Available online at all major book stores! Want busy bag ideas? Be sure to check out our busy bag ideas page to see all of them in one place!